Earlier today, BG Bridal Gallery showcased the features of their wedding mobile app. BG Bridal Gallery CEO, Tony Wakiyama and BG Bridal Gallery General Manager, Mark Consuegra welcomed media and celebrity guest, Maxene Magalona to its grand launch. Understanding the needs of today's busy brides, Tony Wakiyama came up with its turnkey mobile app for wedding events. Now Brides in Metro Manila will have access to stress-free wedding preparations. 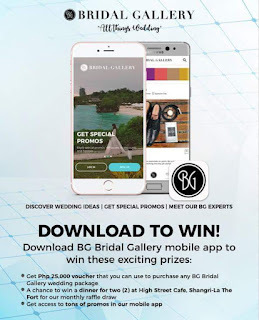 With the BG Bridal Gallery wedding mobile app, they can create, manage and add anything from anywhere to wedding registry at their fingertips. They can discover wedding ideas such as great planning tips, inspiration from different global themes and have access to the finest wedding professionals. 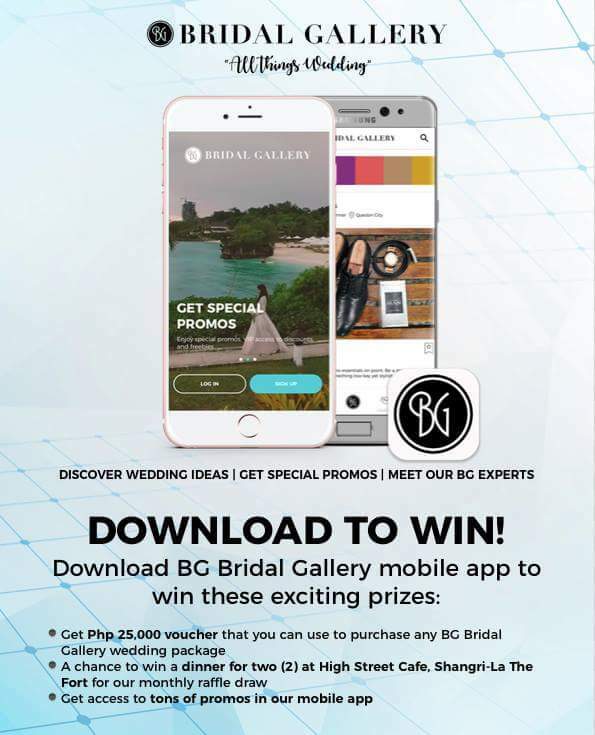 The BG Bridal Gallery wedding mobile app users also enjoy special promos and have VIP access to discounts and freebies offered in the app. Available for IOS and Android, the app is free and can be downloaded at the Apple App Store and Google Play. Celebrity Maxine Magalona, who recently got engaged with her boyfriend, Robby Mananquil shared how useful the mobile app is in starting her own wedding planning adventure. Her supportive fiancée is also hands-on in putting together their dream wedding. BG Bridal Gallery is also inviting newlyweds to help future brides through their “Help Brides Out. Drop a Review and Win!” campaign. They can win a free dinner at Shangri-La at the Fort by leaving reviews for their wedding professionals. Newlyweds also earn a raffle entry by signing up in the BG Bridal Gallery App and leaving a review - the more reviews they give, the more raffle entries they can get. 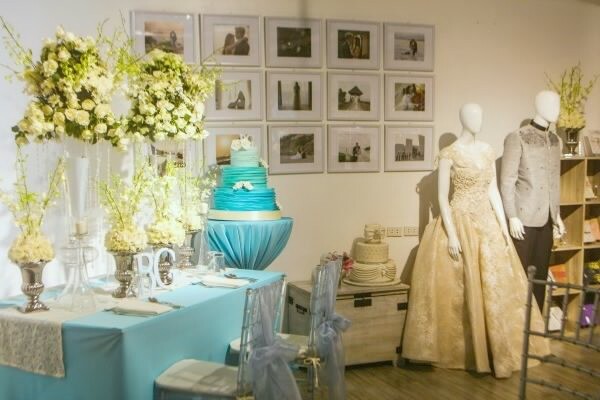 The BG Bridal Gallery Showroom is located at Unit 312, 3rd Floor C2 Building, Bonifacio High Street Central, BGC, Taguig City. To inquire or to book a BG Bridal Gallery’s wedding package, brides can visit them at their showroom, 10AM to 8PM, Monday to Sunday (except holidays). 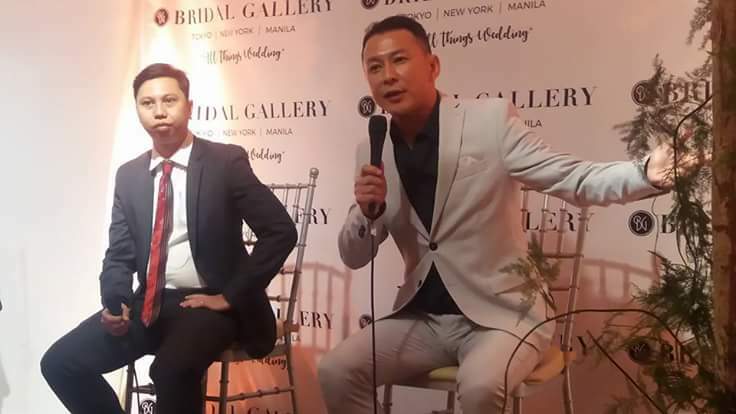 Interested parties can also sign up for a free consultation at the BG Bridal Gallery Facebook or call (02) 720 9804 or email infoph@bgbridalgallery.com. 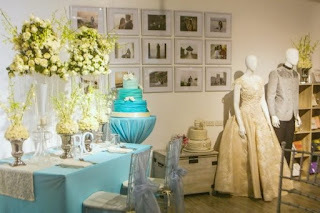 Do visit their website at https://www.bgbridalgallery.com.ph for more information about BG Bridal Gallery. Chat with the BG team or find BG Bridal Gallery on Facebook at facebook.com/bgbridalgallery and on Twitter and Instagram @BGBridalGallery. Since 1976, BG Bridal Gallery have filmed real love stories of more than one million couples with NST Pictures across cultures and traditions. It has captured special moments from across the globe — Japan, United States, and the Philippines. Through the years, BG Bridal Gallery came to understand what brides and grooms need to prepare for their big day. And so, with the same passion to pull off that dream wedding, they have dedicated wedding planning services online and offline to make the planning process run much more smoothly. 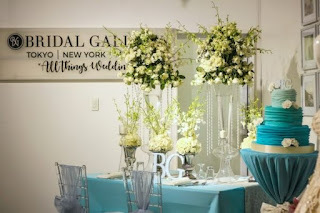 This commitment paved the way for what is now BG Bridal Gallery — a place for all things wedding. You ought to dependably be in front of timetable so you would have enough time to conceptualize the cards and have them accessible in the nick of time for the festival.